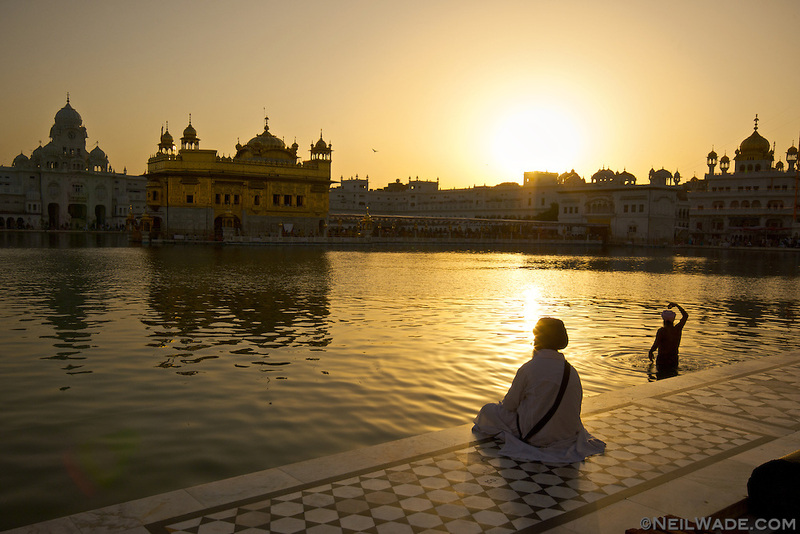 One of the most beautiful places in all the world has to be The Golden Temple in Amritsar, India. It's the most important temple of the Sikh religion, and an incredible place of peace and beauty. Sikh pilgrims come from all over the world to meditate here and are welcomed by open arms and incredible kindness. The site has a free dormitory (even for western visitors) and the cafeteria serves 20,000 free meals a day. Originally a lake known for it's beauty, that many, even the Buddha, came to meditate at. The temple in the middle of the lake was completed in 1604. It has unfortunately been the site of many battles involving the Sikhs, but remains a place of peace. As you walk around the lake, barefooted and listening to the peaceful music and nonstop reading of the Sikh holy verses, you're greeted warmly by pilgrims and local Sikhs, all happy to see foreigners enjoying their place of peace.